On the banks of a sprawling Brazilian river lies São Tiago - the perfect place for a fallen priest to escape his past and care for nothing. But when Sam chooses to help a stranger who lies bleeding on a dirt floor, he sets in motion a dangerous chain of events. 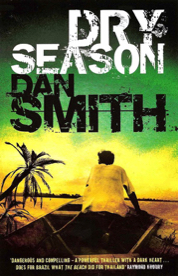 Falling under the gaze of the dead man’s employer, Sam’s quiet life turns to one of manipulation and murder, and as the long dry season stretches out ahead, he must face his past if he is to find redemption in a town without a soul. December 1930, Western Ukraine. 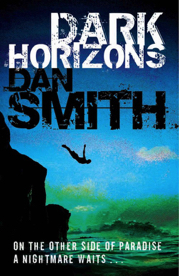 Luka is a war veteran who now wants a quiet life with his family. His village has, so far, remained hidden from the advancing Soviet brutality, but everything changes the day the stranger arrives, pulling a sled bearing a terrible cargo. The villager’s fear turns deadly and they think they can save themselves, but their anger has cursed them: when calm is restored, a little girl has vanished. 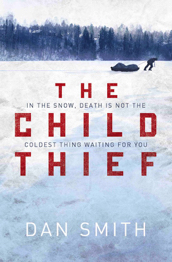 Luka is the only man with the skills to find who could have stolen a child in these frozen lands - and besides, the missing girl is best friend to Luka’s daughter, and he swears he will find her. Together with his sons, Luka sets out in pursuit across lands ravaged by war and gripped by treachery. Soon they realise that the man they are tracking is no ordinary criminal, but a skilful hunter with the child as the bait in his twisted game. It will take all of Luka's strength to battle the harshest of conditions, and all of his wit to stay a step ahead of Soviet authorities. And though his toughest enemy is the man he tracks, his strongest bond is a promise to his family back at home. It is 1920, central Russia. The Red Terror tightens its hold. 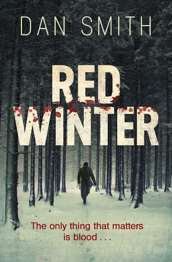 Kolya has deserted his Red Army unit and returns home to bury his brother and reunite with his wife and sons. But he finds the village silent and empty. The men have been massacred in the forest. The women and children have disappeared. After caring for his mother in her last days, Alex has decided to see the world - with no plan other than to travel and recapture his lost youth. But after a horrifying bus crash on a remote road in Sumatra, everything seems lost. Then Domino, a beautiful girl, takes Alex under her wing and he thinks his self-discovery is beginning. But Alex soon realises that danger follows her around. 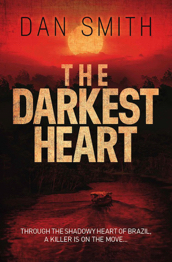 As they approach the magnificent Lake Toba, and the remote community Domino calls home, it seems there's trouble in paradise. The ideals of the camp are honourable - a simple life, shared by friends in a beautiful place hidden from the world - but Domino has no answers to the terrible questions that are forming in Alex's mind.